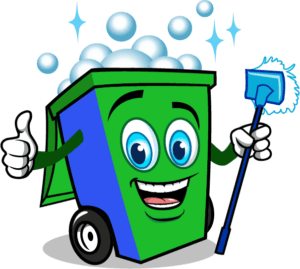 Scrub-A-Dub Bin Cleaning is a new company with a novel idea. 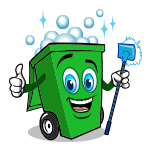 We are very excited to introduce this great service for cleaning and sanitizing your roll-away trash and recycle bins. While this sounds very unique to most people, the business model has existed in the UK for almost 20 years. 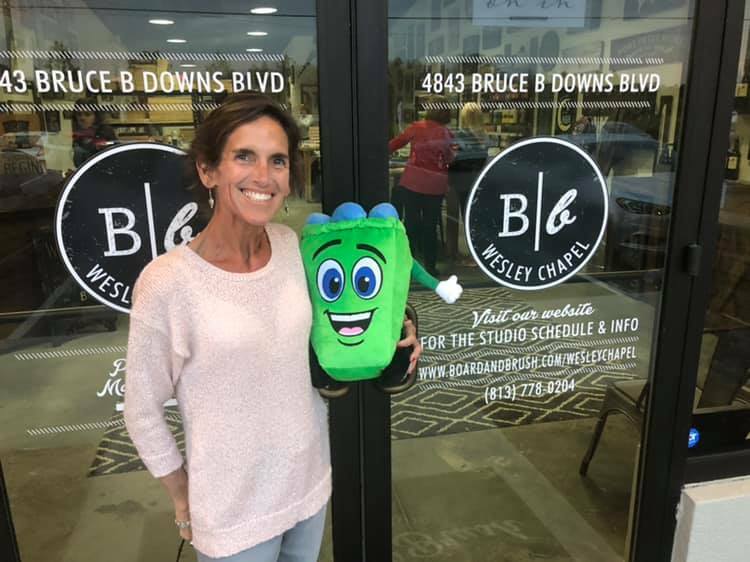 The Wesley Chapel/Land O’ Lakes/Lutz/New Tampa/Odessa/Carrollwood area has seen significant growth, now communities live closer and closer to one another so the need for keeping roller bins clean has increased. State of the art equipment on our trucks is made to handle this problem. We guarantee exceptional service. If you aren’t completely satisfied, give us a call and we will make it right. 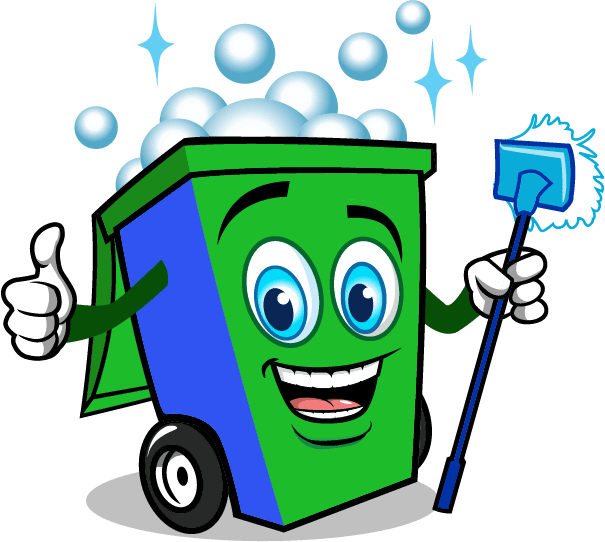 To provide a professional service for the universally nasty task of cleaning your garbage cans. 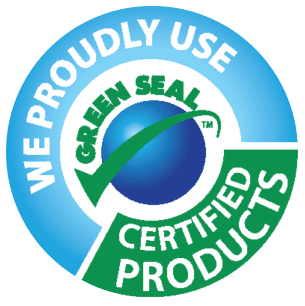 To promote cleaner, healthier communities by sanitizing and deodorizing residential and commercial roll-away bins. My name is Jennifer Trudel, and I have been a resident of Wesley Chapel for 14 years. I’ve seen our community grow from open pastures to a bustling city. Our residents are proud of their homes and the area we live in. As we continue to grow, more families spend time in the community from sporting events and recreational activities to malls, plus (unfortunately) traffic. With our lives being so busy many hire companies to maintain our pools, house cleaning, and lawn maintenance, just to name a few. 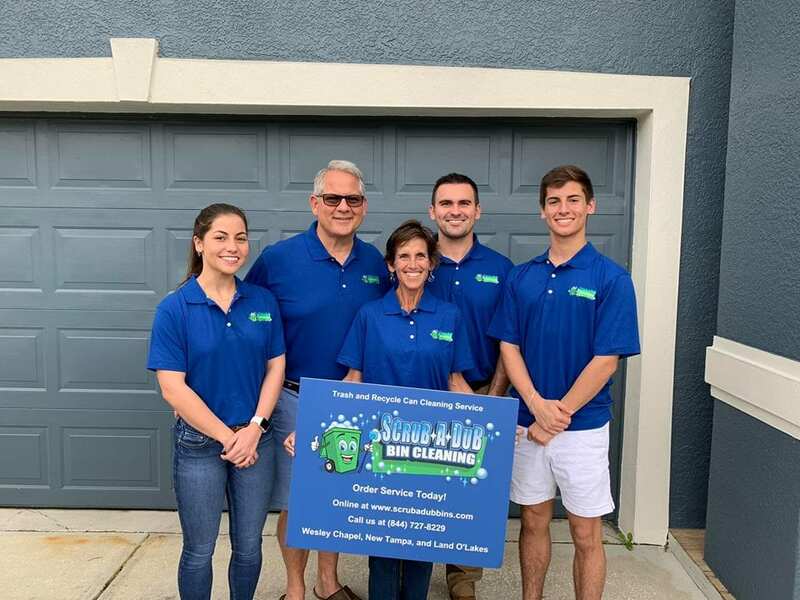 Scrub-A-Dub is designed to give you an affordable maintenance program to provide cleaner and healthier homes and ultimately communities by providing a trash/recycle can sanitizing and deodorizing service. Once you realize you never have to do the nasty task again, you’ll never look back. It’s the Scrub-A-Dub difference! Excellent service. Recommend to anyone who owns a home in the Wesley Chapel area. We had our first cleaning today and can’t believe how clean our trash can looks. It was left in an absolutely filthy, disgusting condition by the previous owners, but now it looks brand new! This service is definitely worth the low fee they charge. What an amazing service! My bin is finally allowed back in the garage (Lol) Thanks Jennifer @scrubadubbins you did a phenomenal job.